This image, taken with the NASA/ESA Hubble Space Telescope shows the Serpens Nebula, a stellar nursery about 1300 light-years away. Within the nebula, in the upper right of the image, a shadow is created by the protoplanetary disc surrounding the star HBC 672. While the disc of debris is too tiny to be seen even by Hubble, its shadow is projected upon the cloud in which it was born. In this view, the feature nicknamed the Bat Shadow spans approximately 200 times the diameter of our own Solar System. 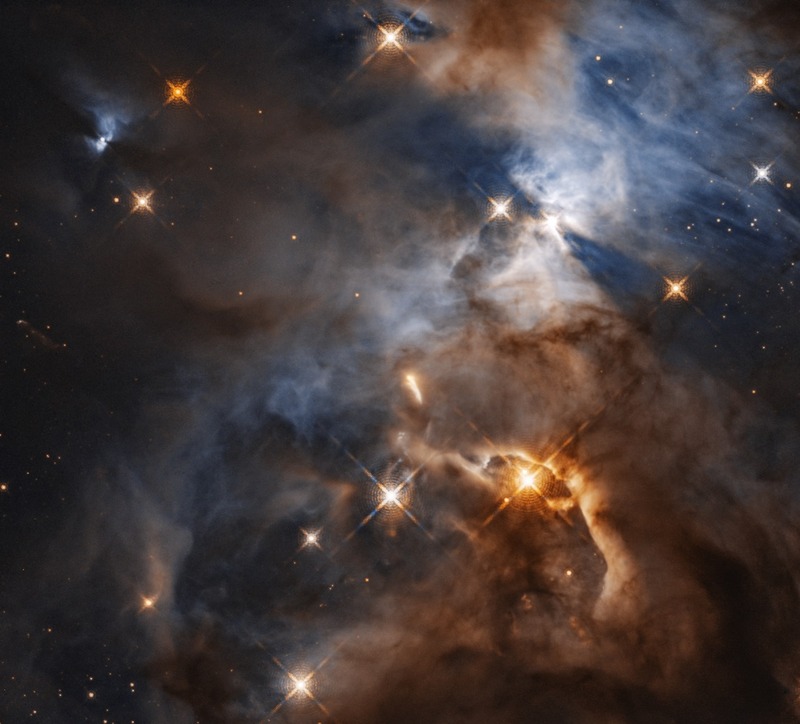 A similar looking shadow phenomenon can be seen emanating from another young star, in the upper left of the image.